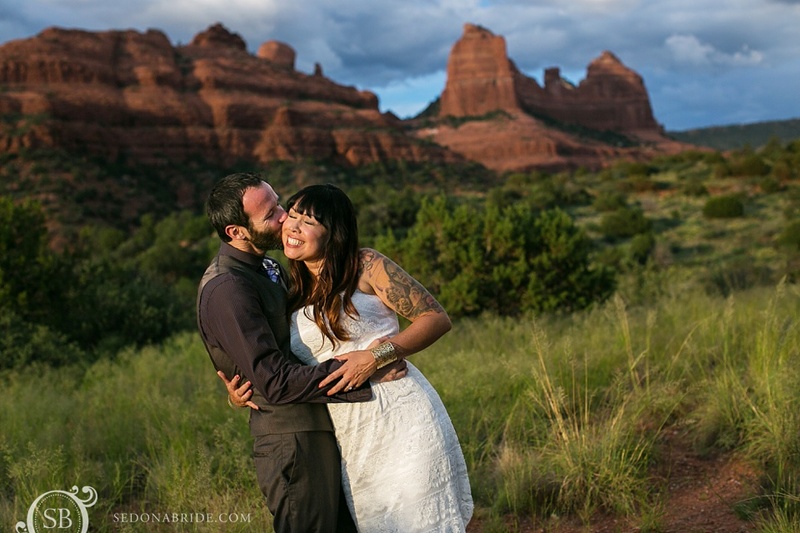 Have you ever thought about having a Sedona wedding proposal? 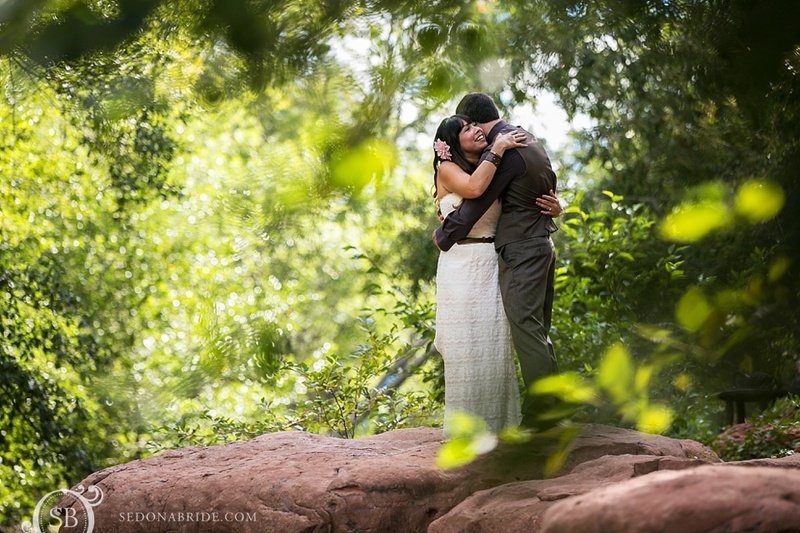 Sedona Bride Photographers can help you plan a picture perfect proposal you’ll always remember. 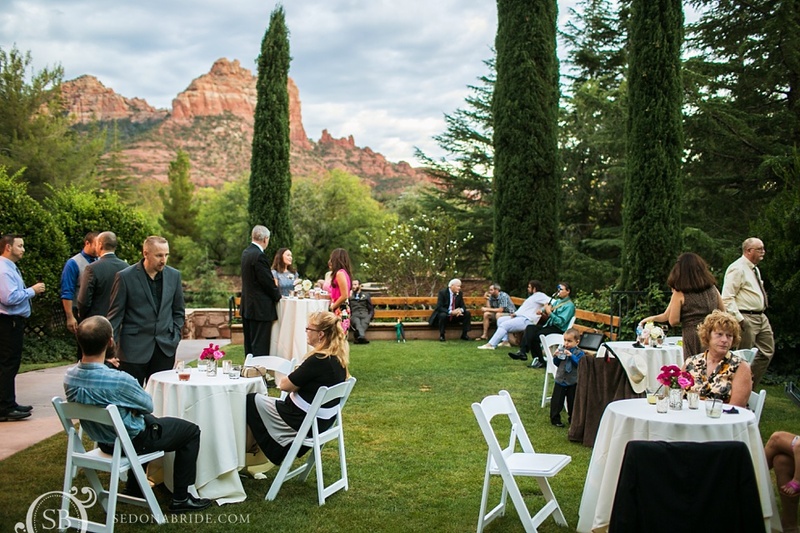 Looking for romantic wedding proposal ideas in Arizona? 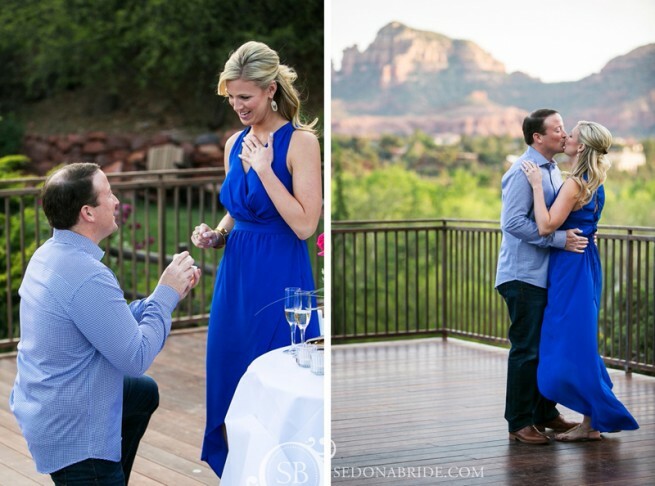 See more Sedona wedding proposal photos on Sedona Bride blog. 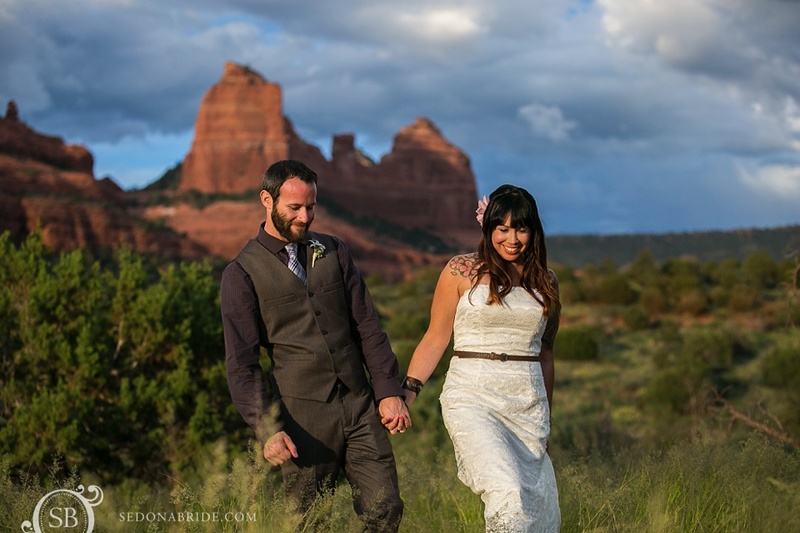 Contact Sedona photography studio Sedona Bride for information on how to kick start your Sedona wedding proposal! 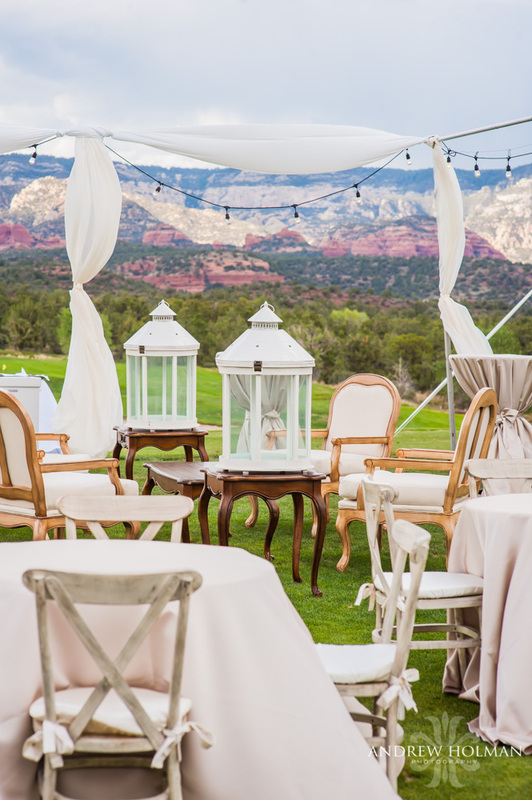 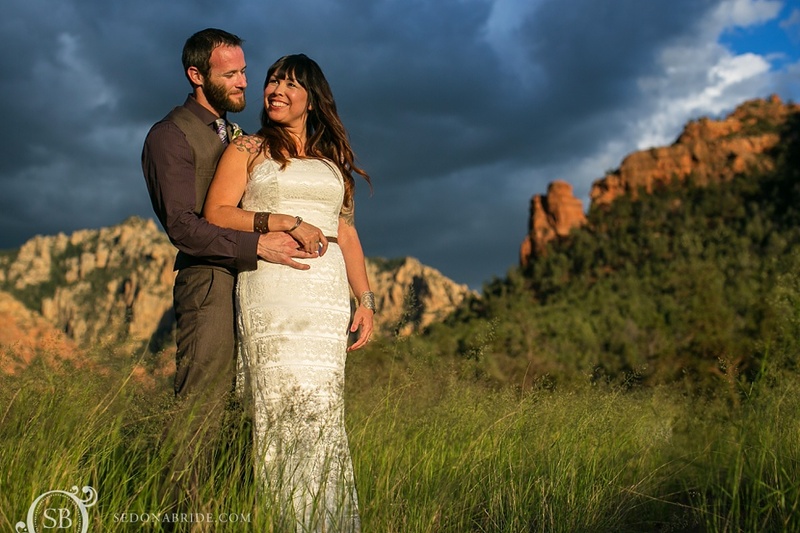 L’Auberge de Sedona offers proposal packages, as well as elopement and weddings packages. 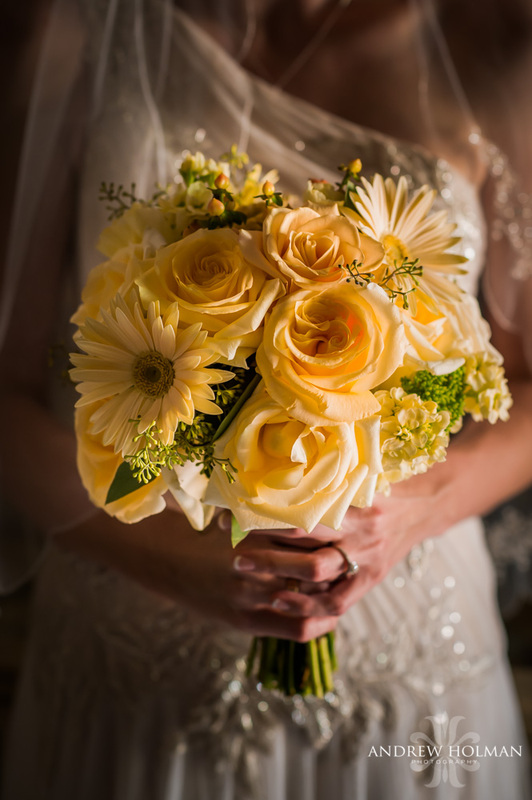 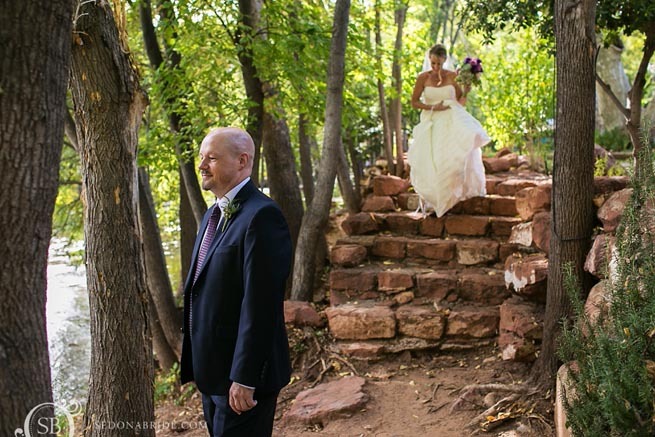 We were already booked on the wedding date Pam and Wade were looking at and they switched to a beautiful Thursday date in October to work with us, something we did not take lightly. 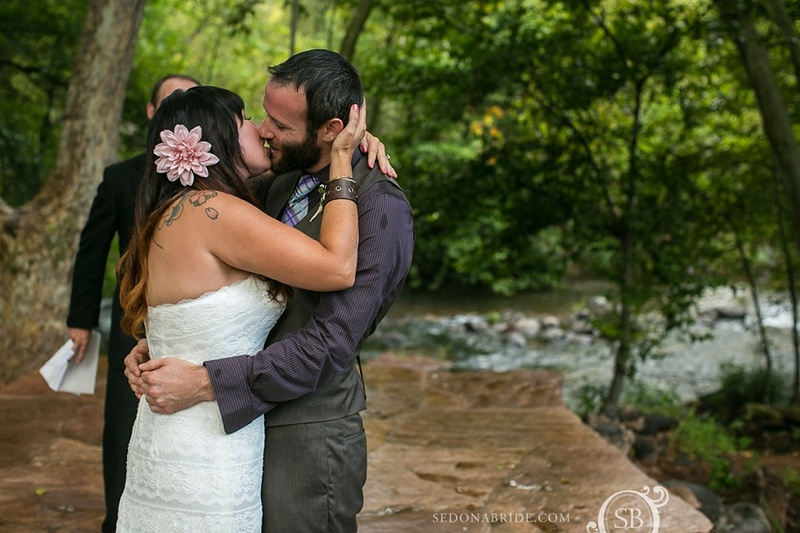 Of course we felt so honored to be a part of such an amazing day in their lives! 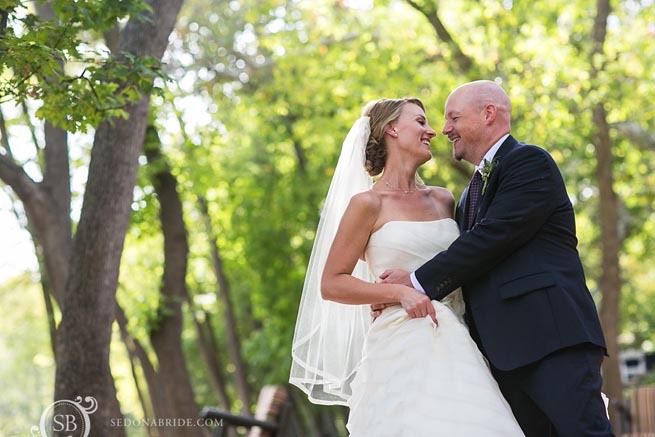 They are a truly wonderful, heartfelt, and caring couple and adore each other. 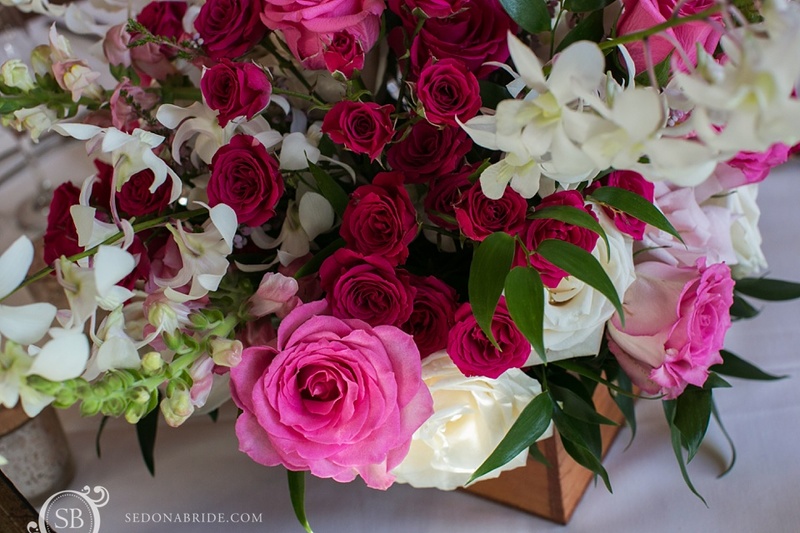 Pam has a career in design so all the paper goods were designed by her and the ideas that she came up with were beautiful. 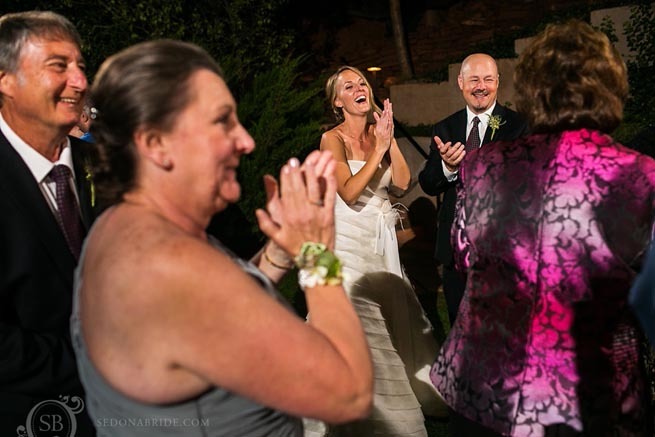 Most importantly however were all the wonderful family and friends that were there… it was a very intimate wedding with just the closest of friends and family who were just as kind and loving as Pam and Wade. 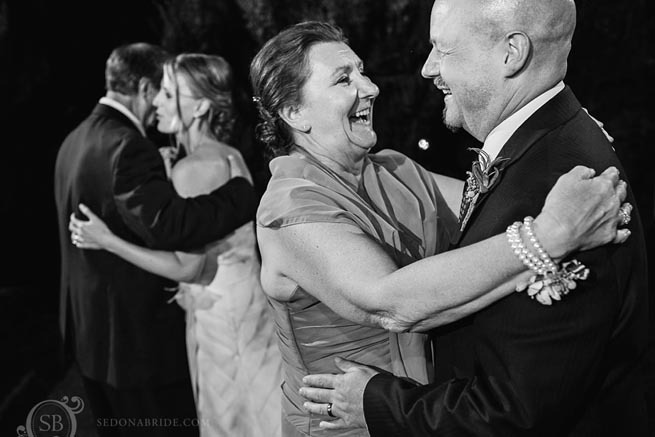 They are so blessed to have such wonderful people in their lives. 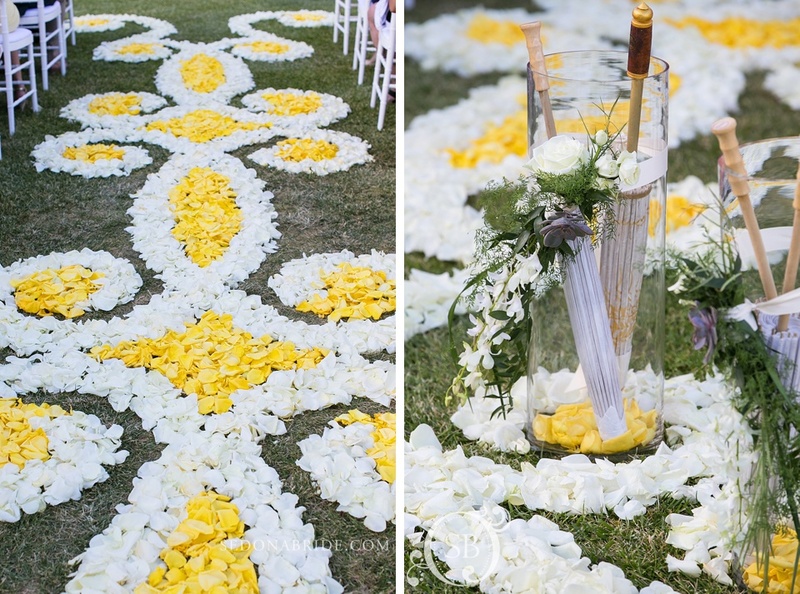 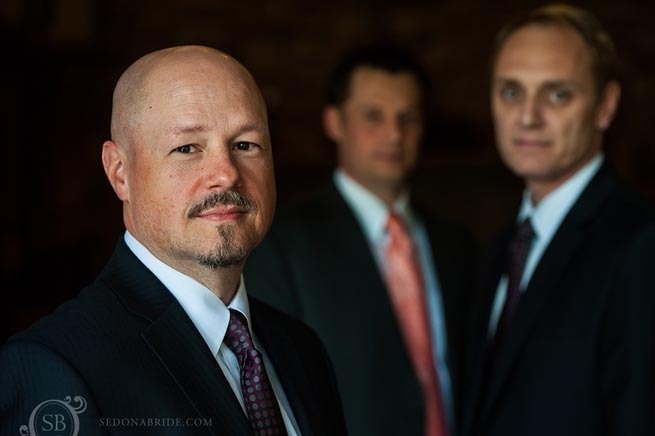 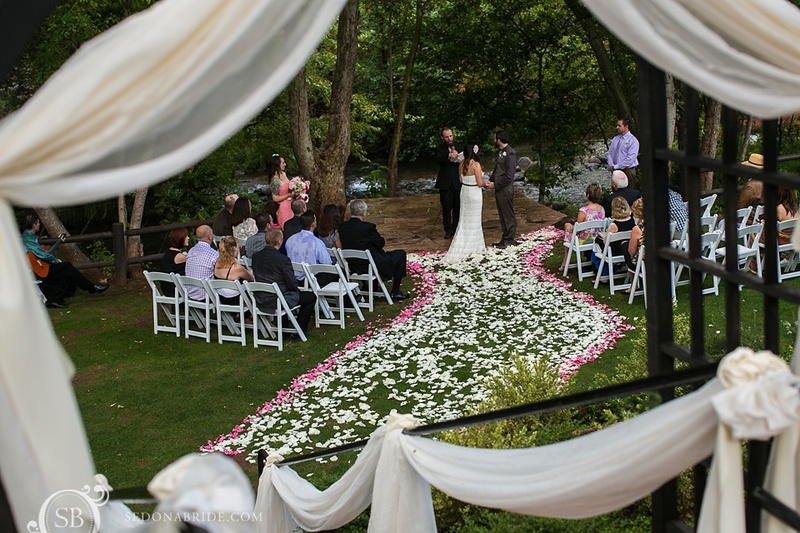 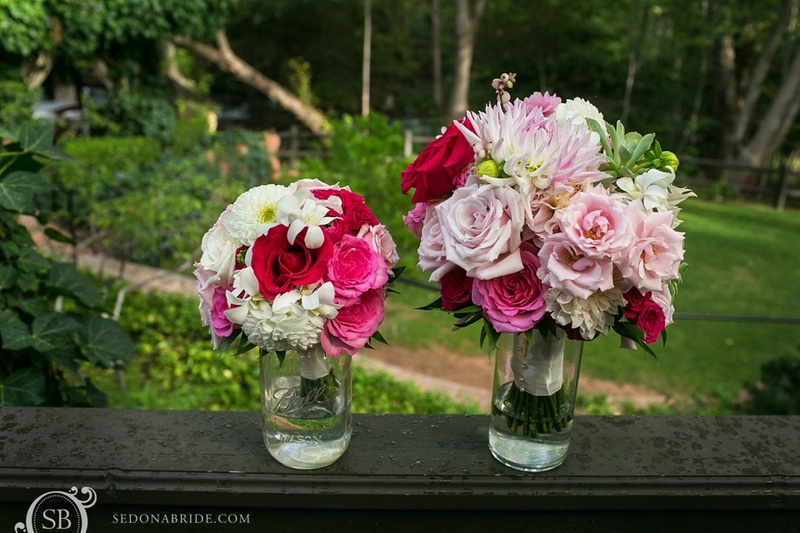 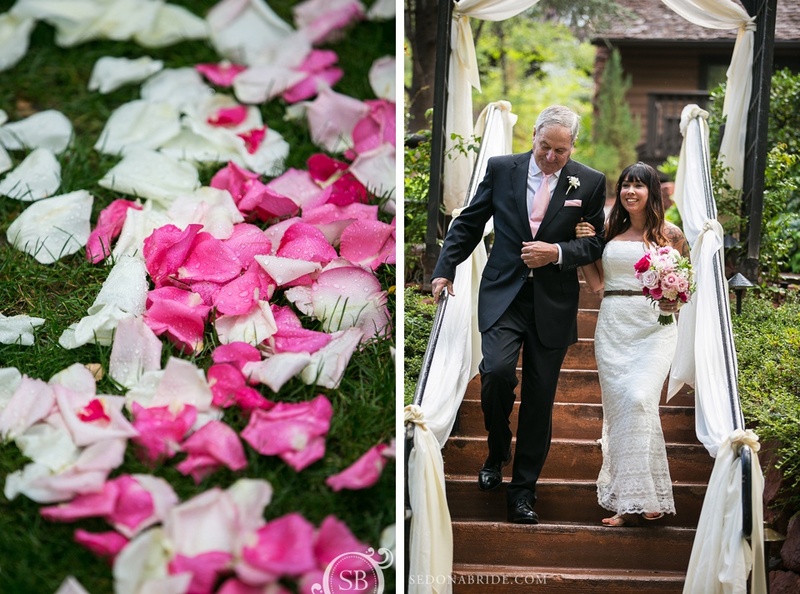 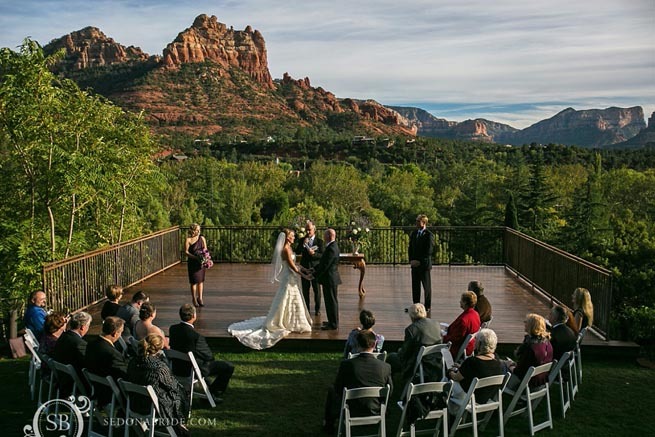 The wedding took place at L’Auberge de Sedona and was beautifully executed by Laura at Heart of Sedona Weddings. 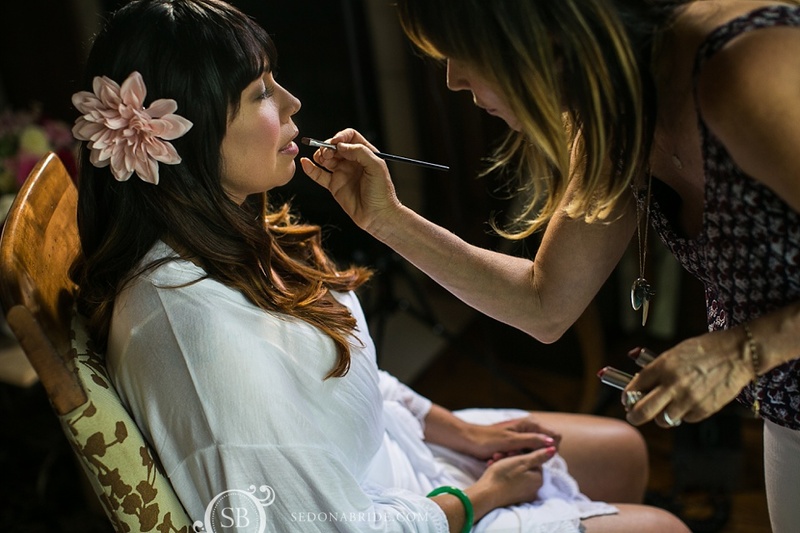 Laura is amazing to work with and always always has her clients best needs in mind. 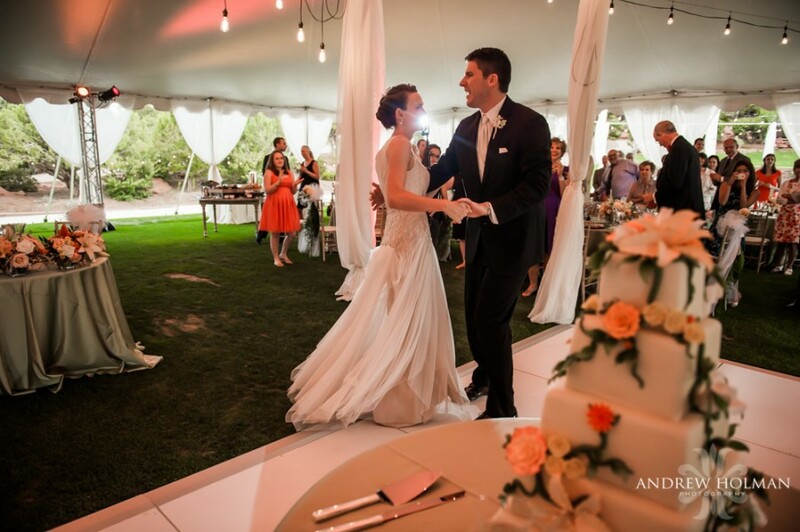 She works tirelessly to make sure that all the vendors come together as a team to make the day flow. 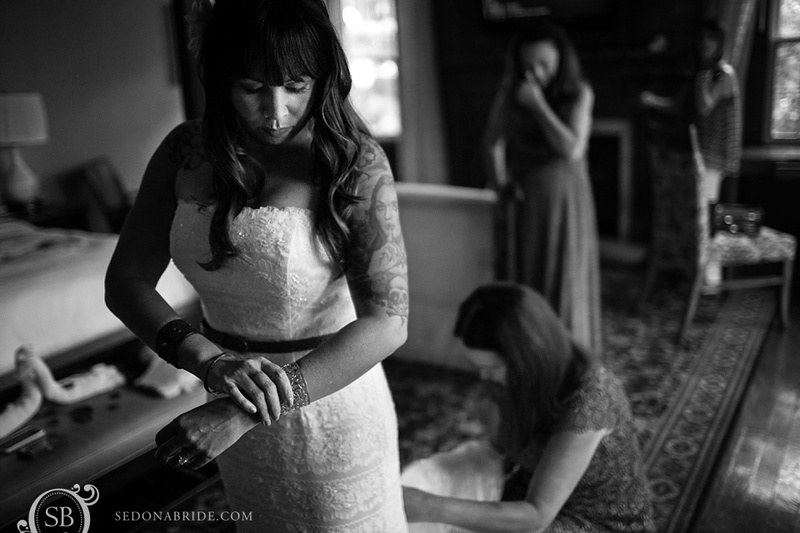 We appreciate her so much for that and more. 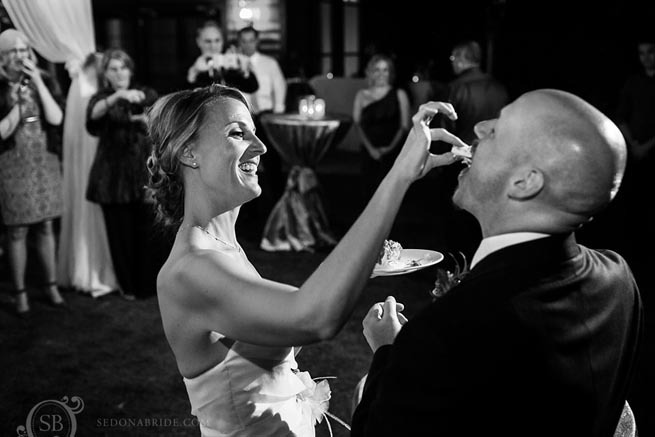 And finally, Pam and Wade! 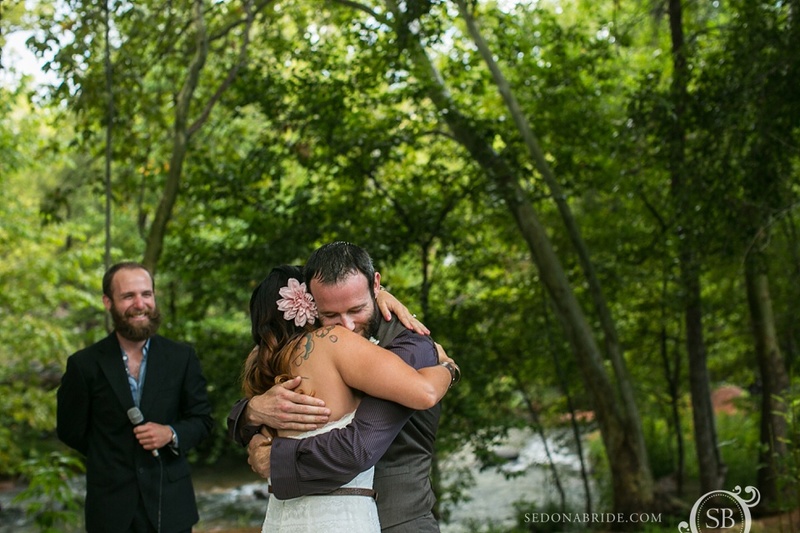 You two are amazing and we are so blessed to have gotten to know you through this process. 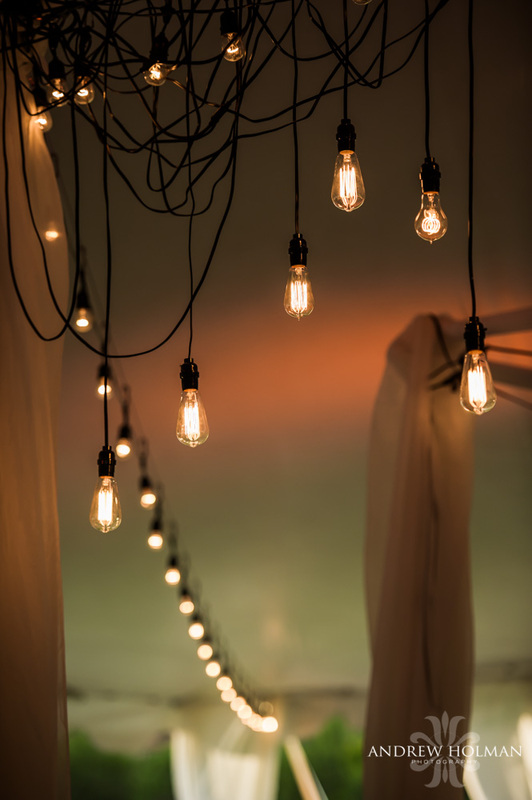 We can’t wait for you to make it back to Arizona and enjoy a meal at Elote together! 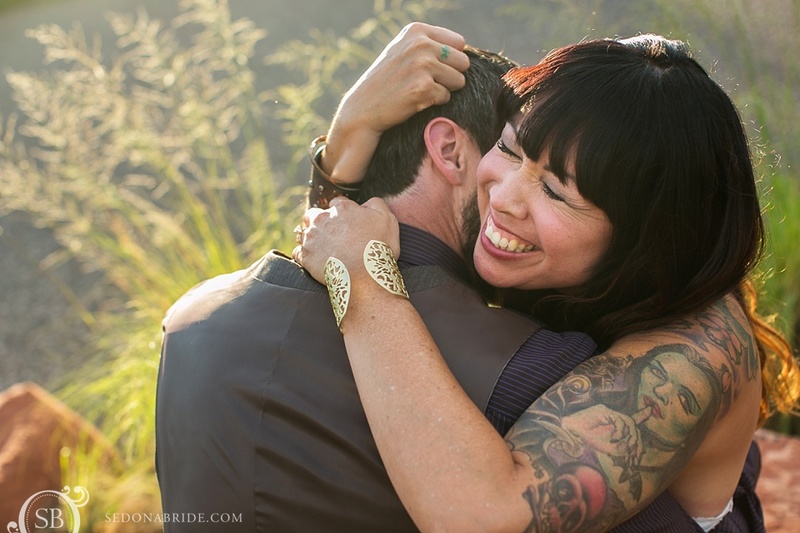 Big big hugs to you both!! 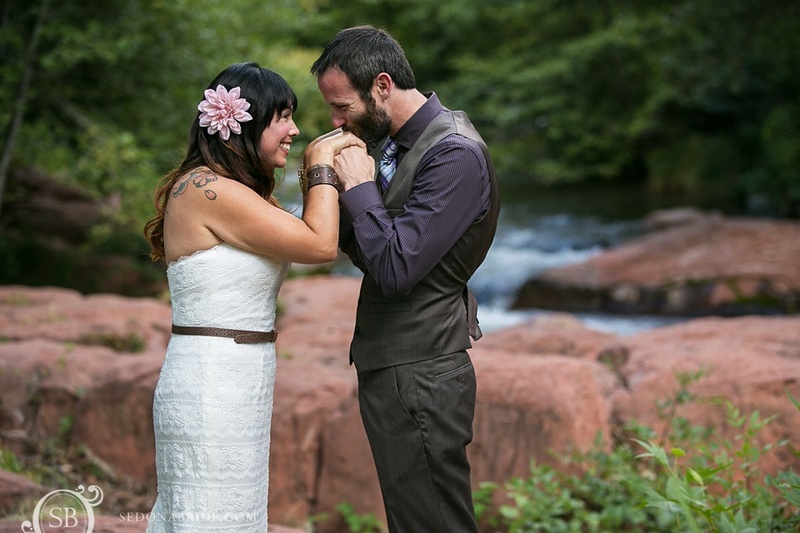 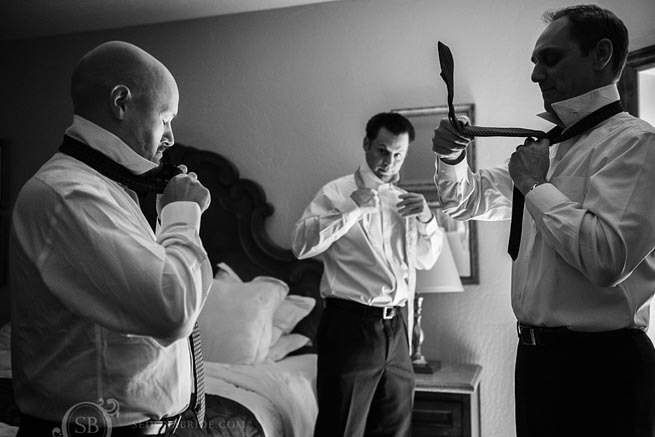 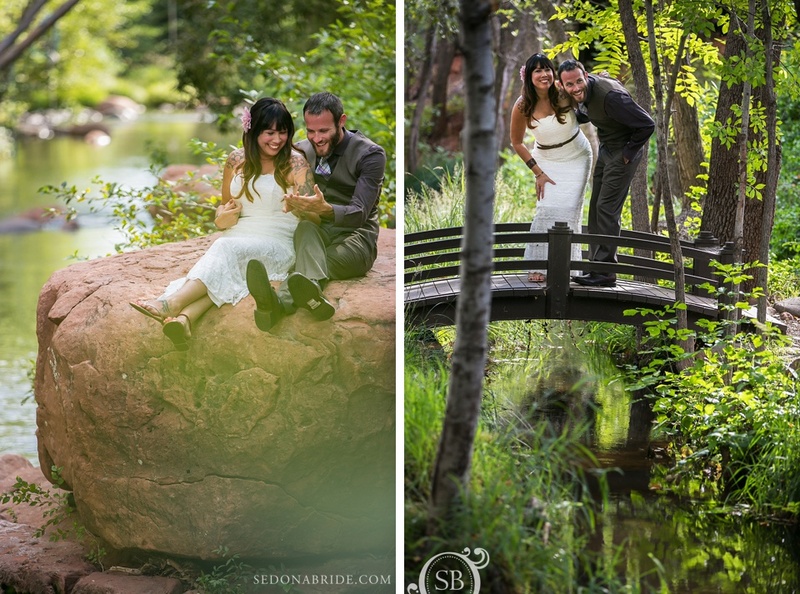 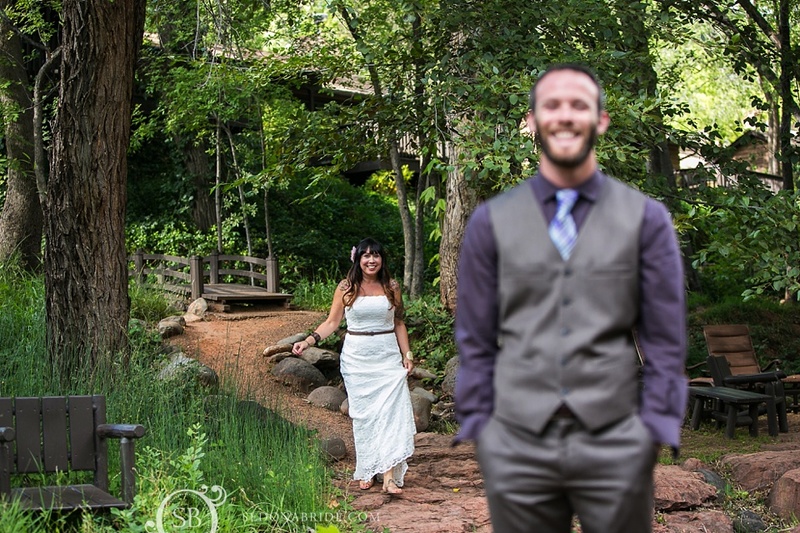 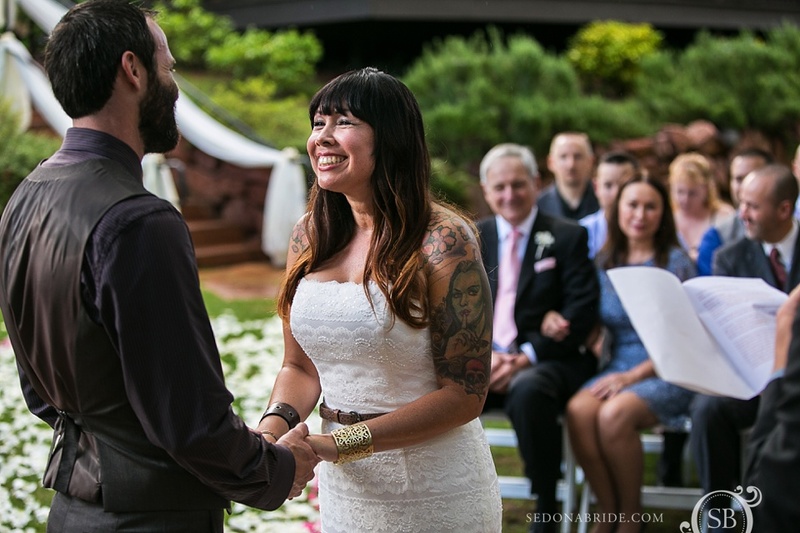 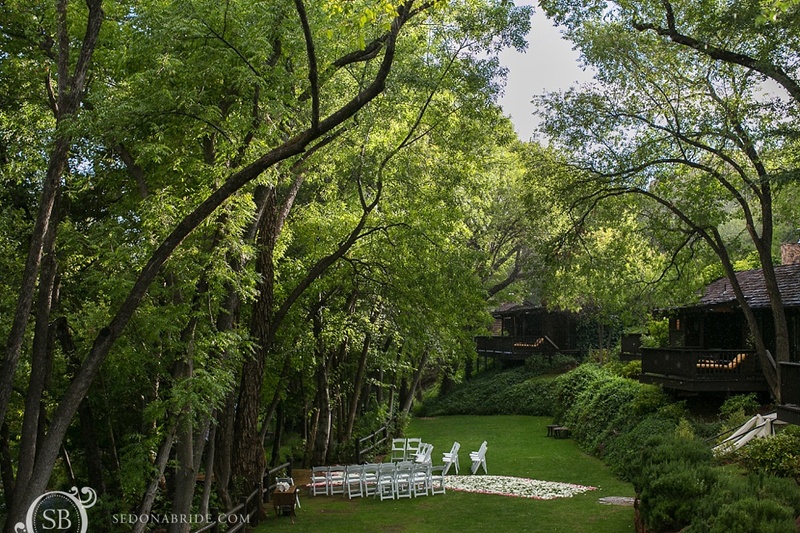 We love shooting intimate weddings at L’Auberge de Sedona! 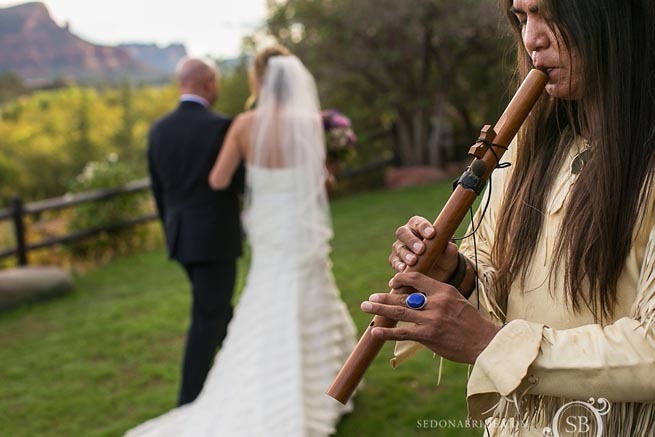 No venue in Arizona can boast such a diverse offering of ceremony sites. 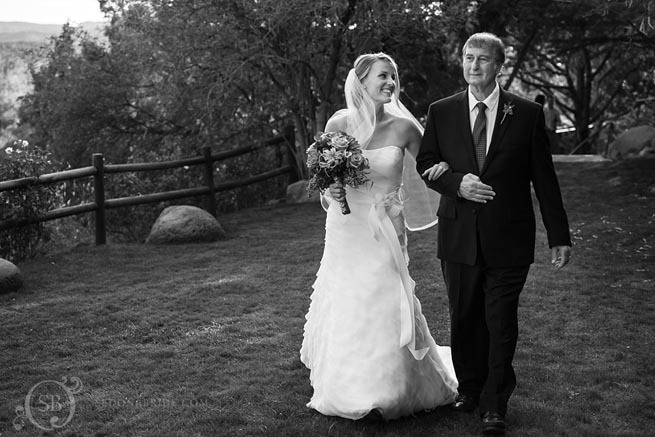 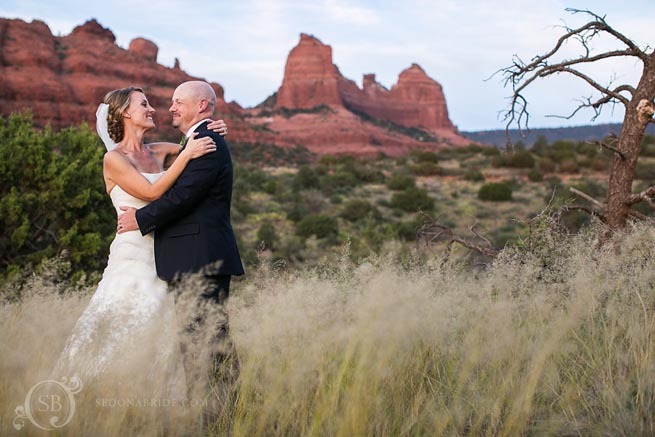 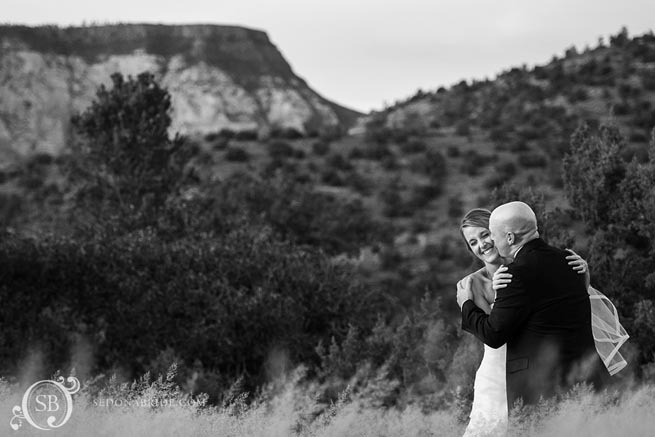 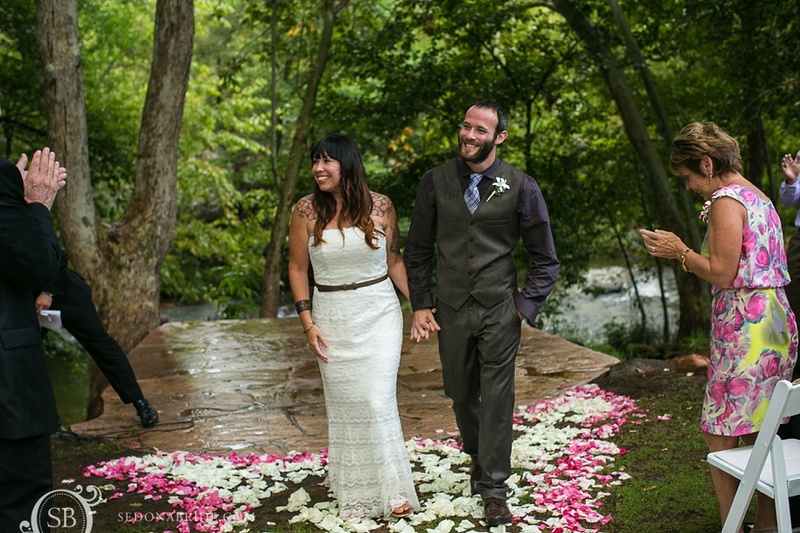 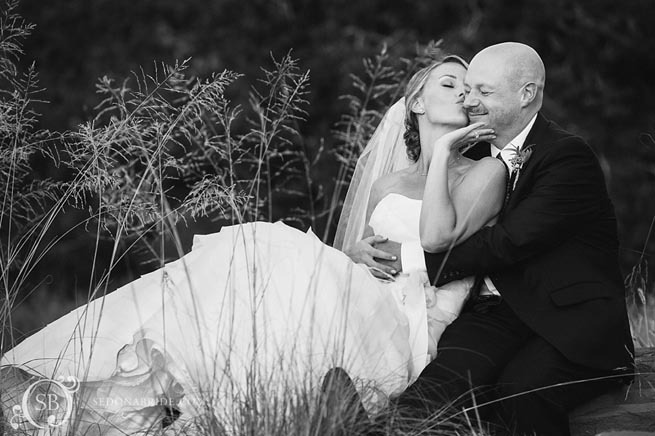 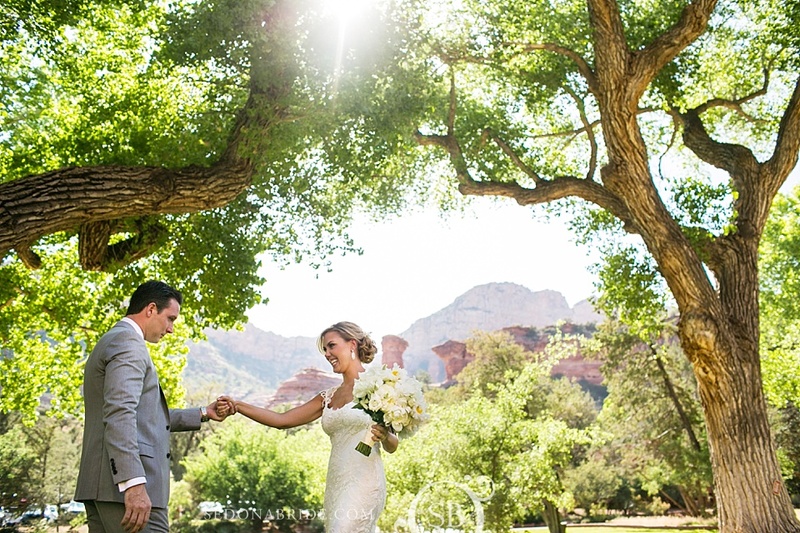 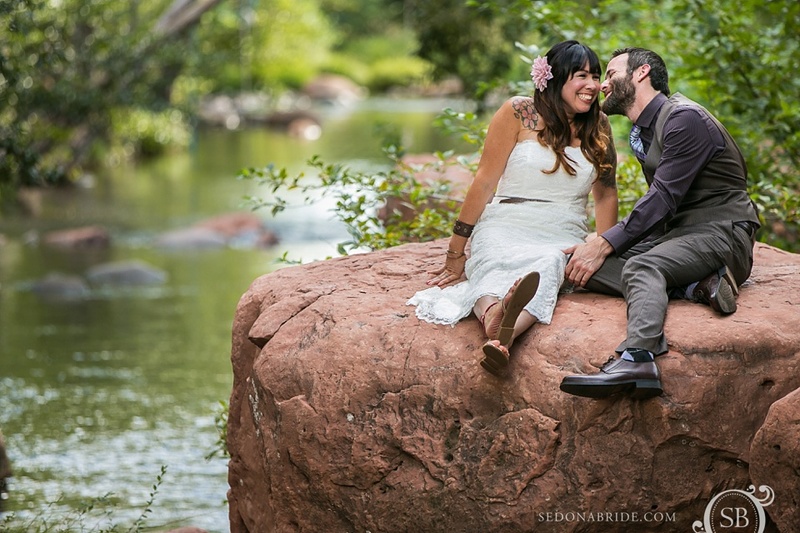 Jennifer and Tim traveled from San Diego to have their outdoor wedding in Sedona. 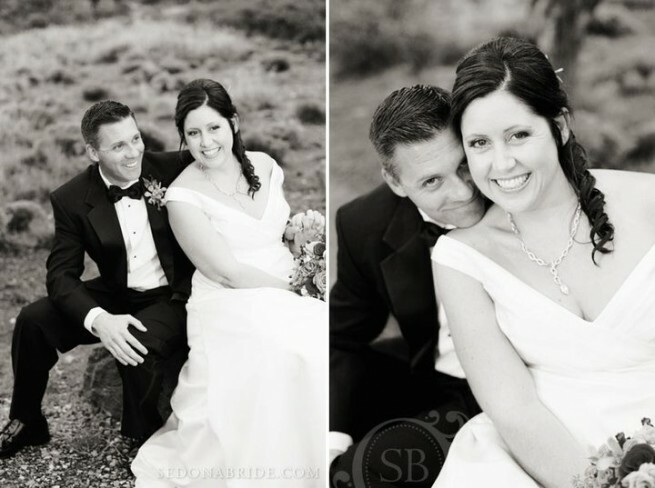 You can tell from the pictures how beautiful and in love they are! 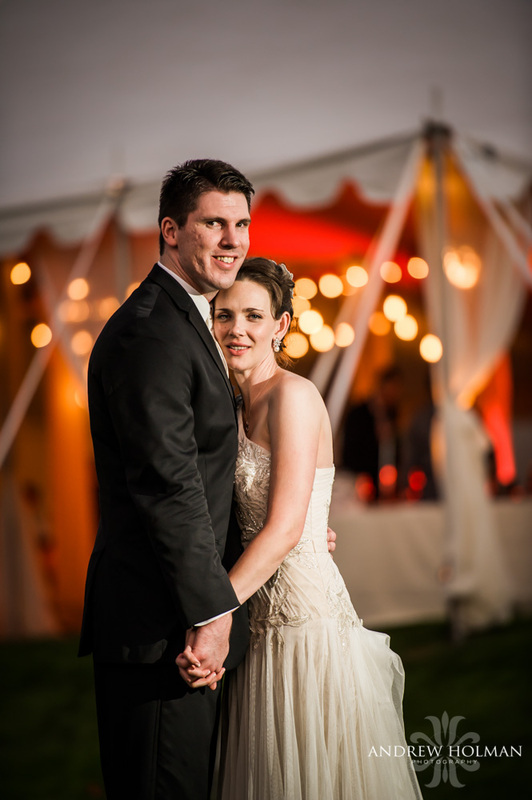 Tim just adores Jennifer… Their first site meeting was one of the cutest I’ve seen. 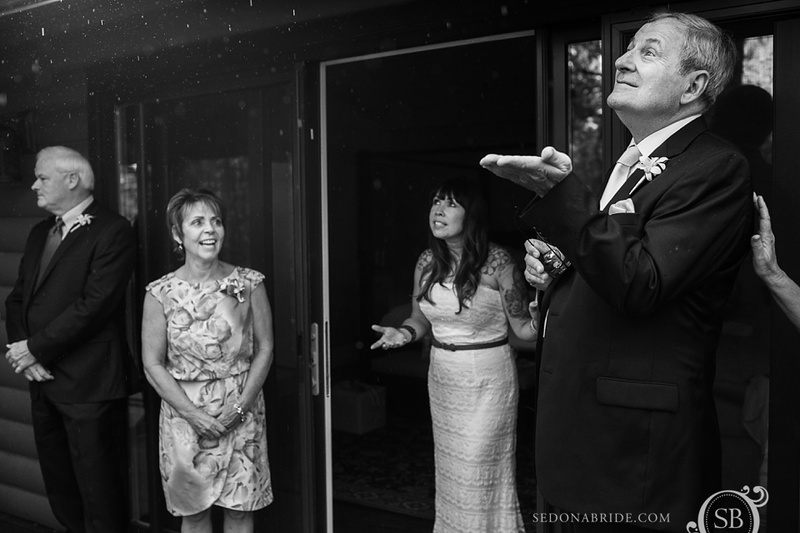 It threatened to rain, and just minutes before their ceremony began, the sky opened up and it poured ‘ happy rain,’ where it’s sunny and raining at the same time! 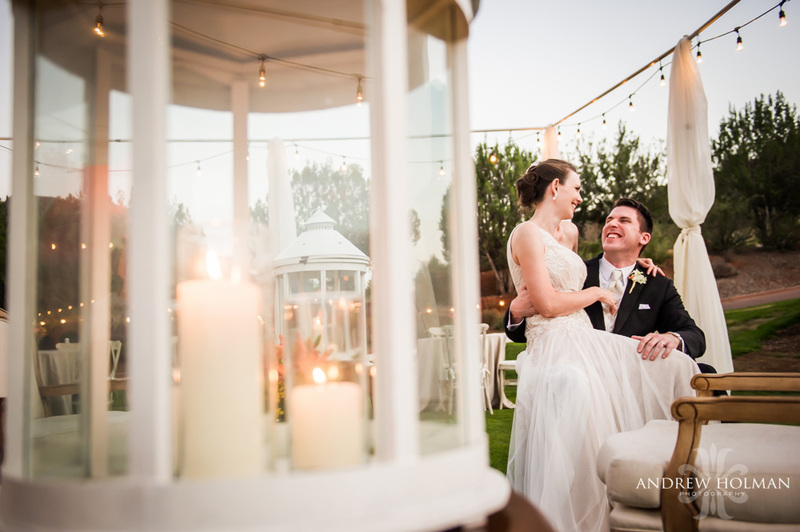 Nobody, including Jennifer or Tim, let the rain dampen their spirits. 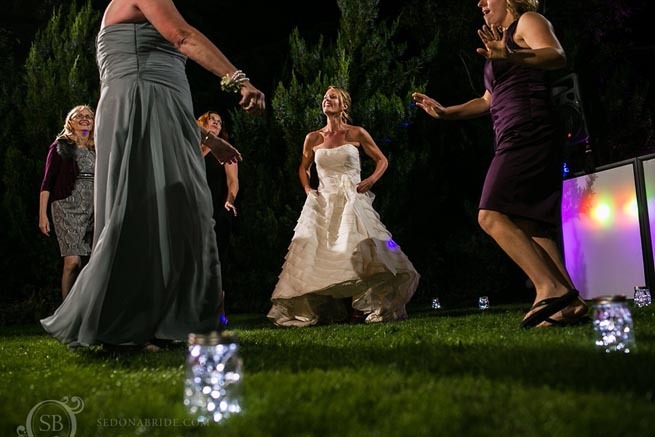 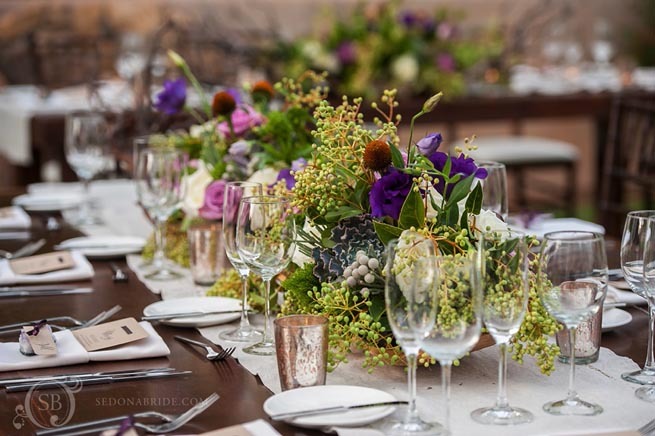 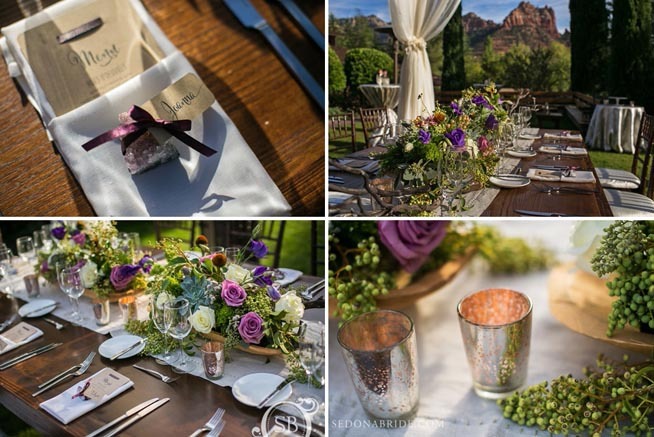 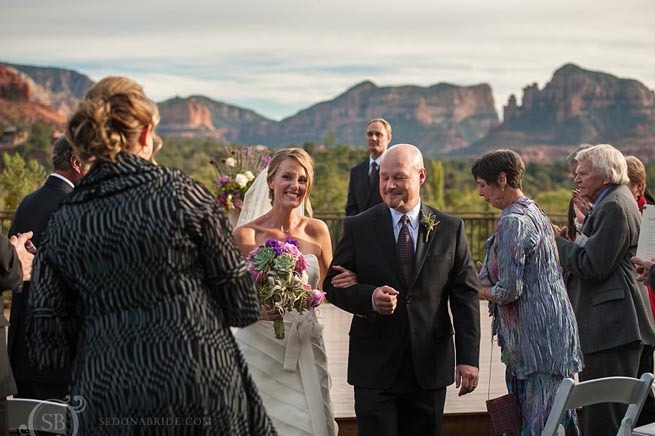 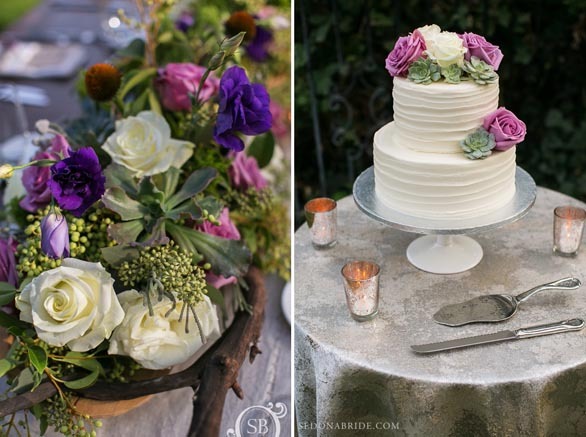 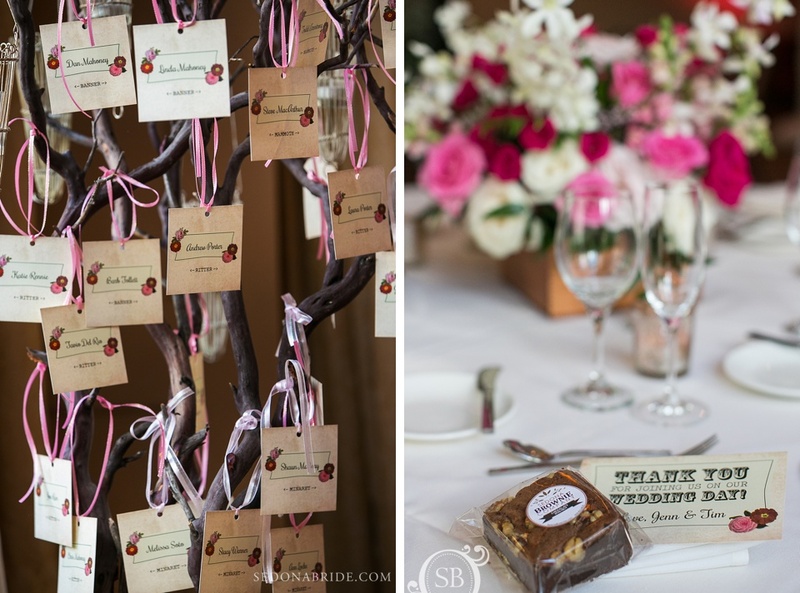 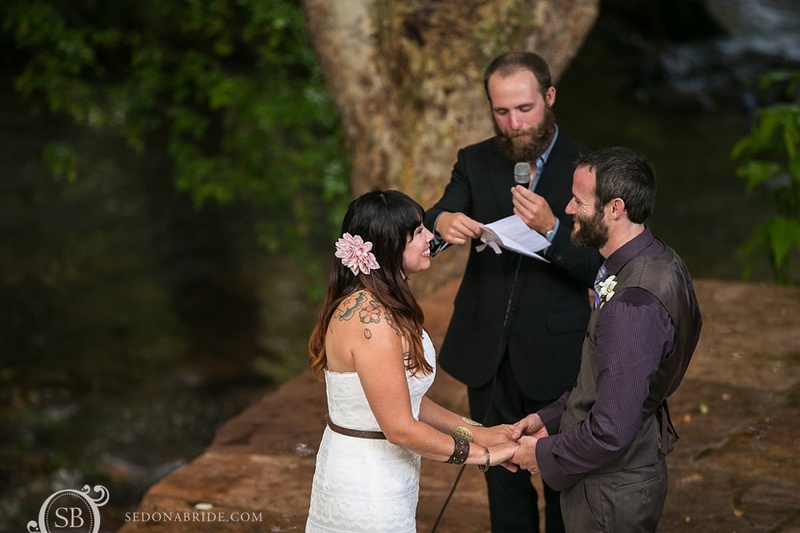 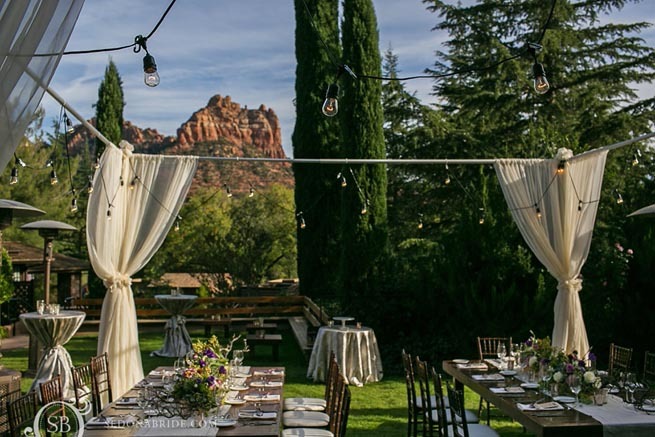 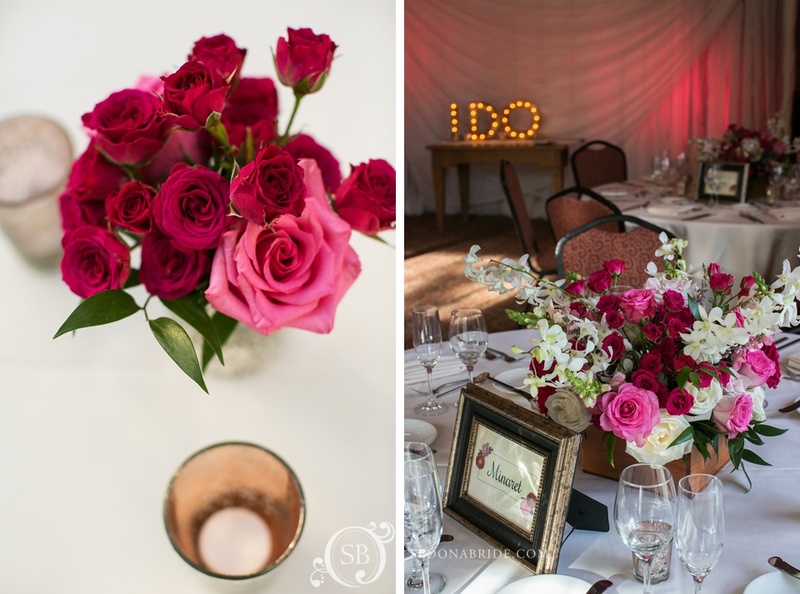 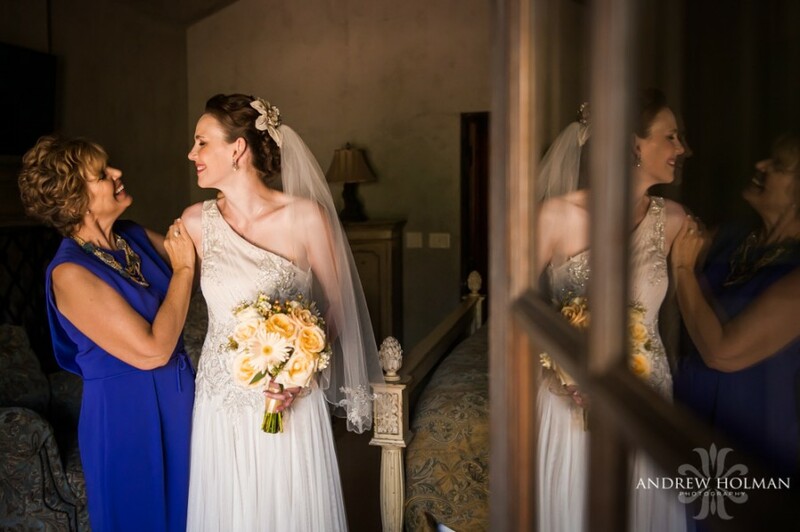 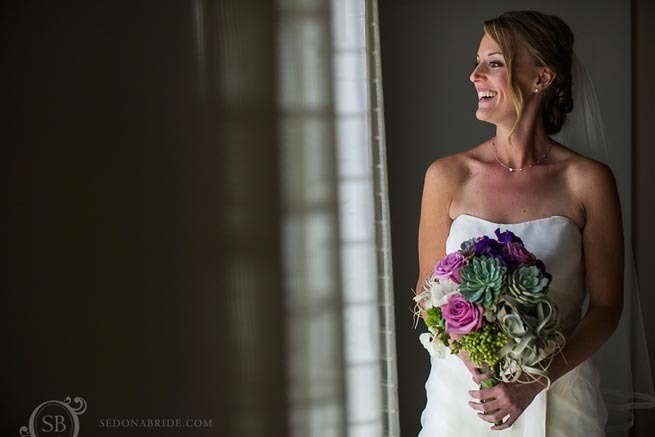 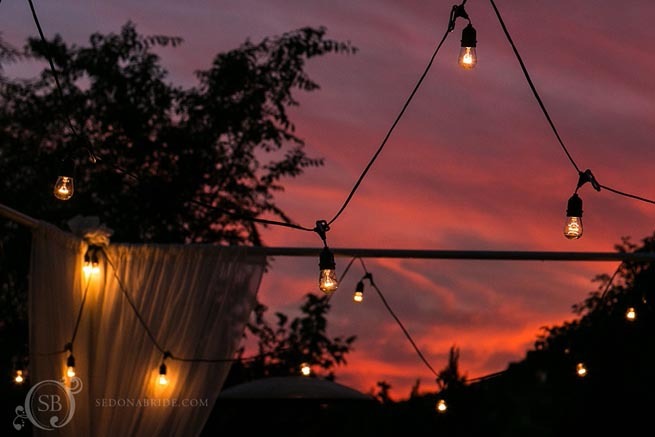 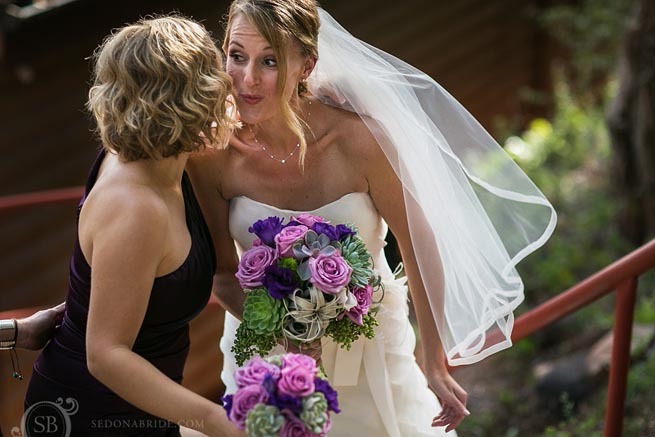 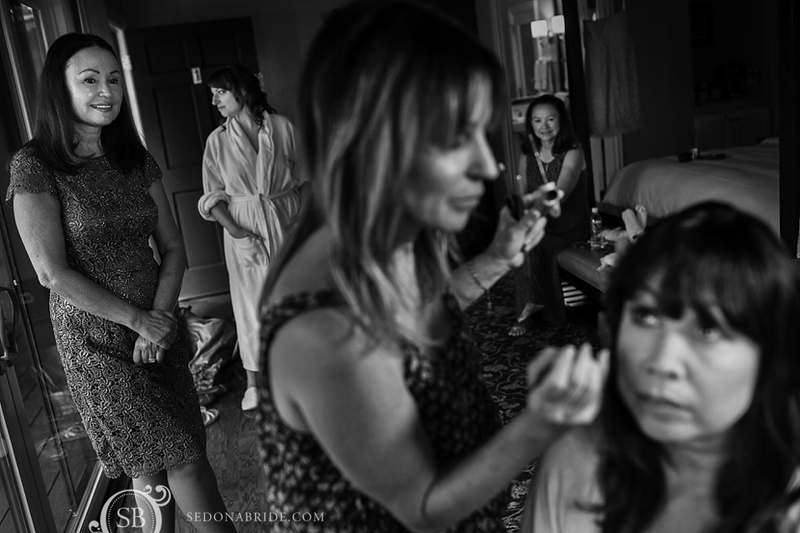 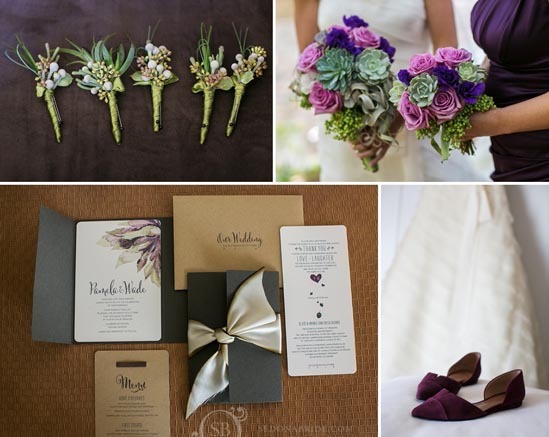 It soon passed and Sedona wedding planner Margaret Van Damme made sure to keep everything on track and beautiful. 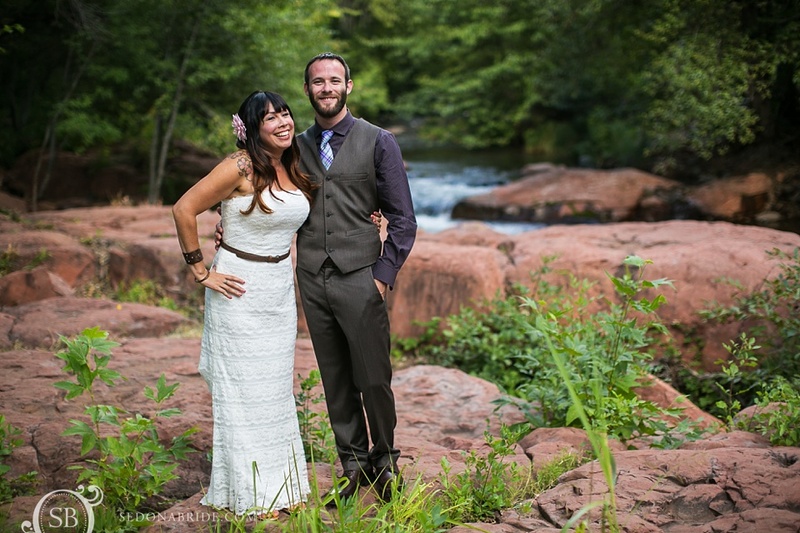 Thank you, Jennifer and Tim! 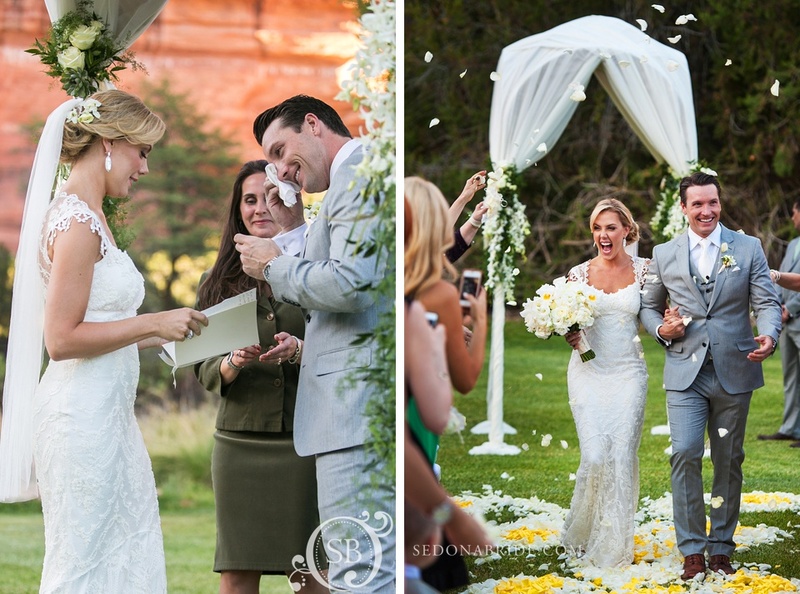 It was such a pleasure working with you and we could not be happier for you both! 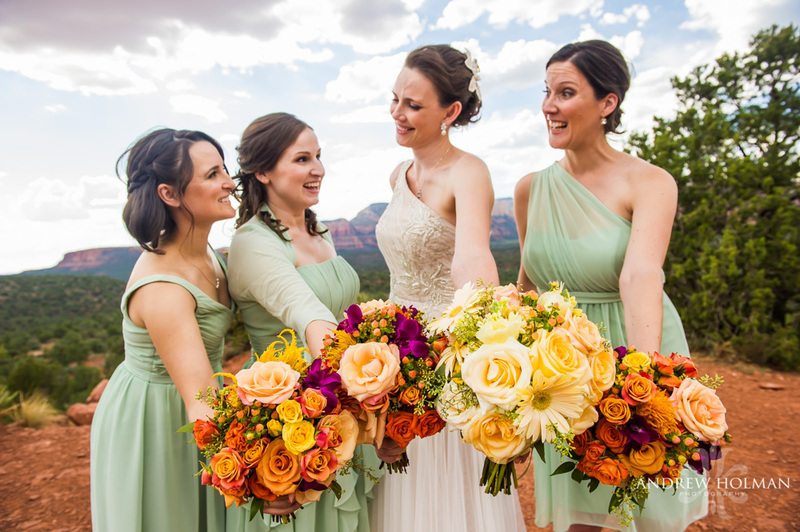 We couldn’t wait to show you this gorgeous wedding that was produced in its entirely by Sedona Wedding Studio members and photographed by today’s guest photographer, Andrew Holman Photography. 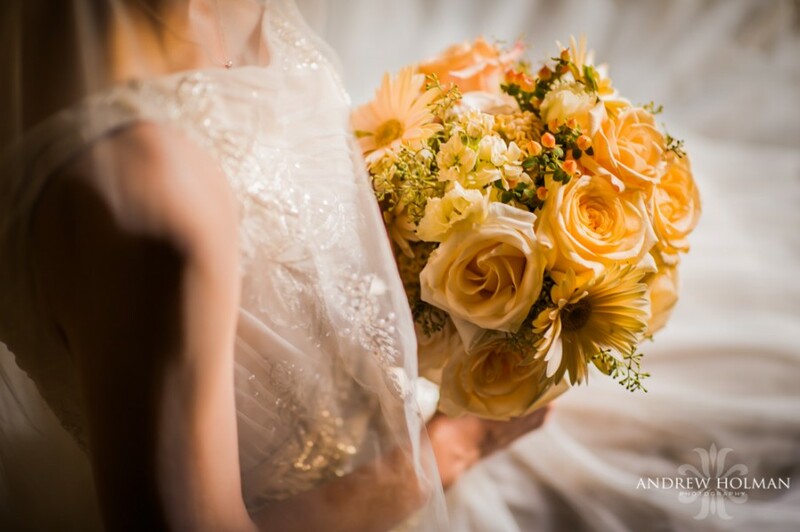 Rain only made the day better as you will see in these romantic and dramatic images that Andrew Holman Photography captured so beautifully. 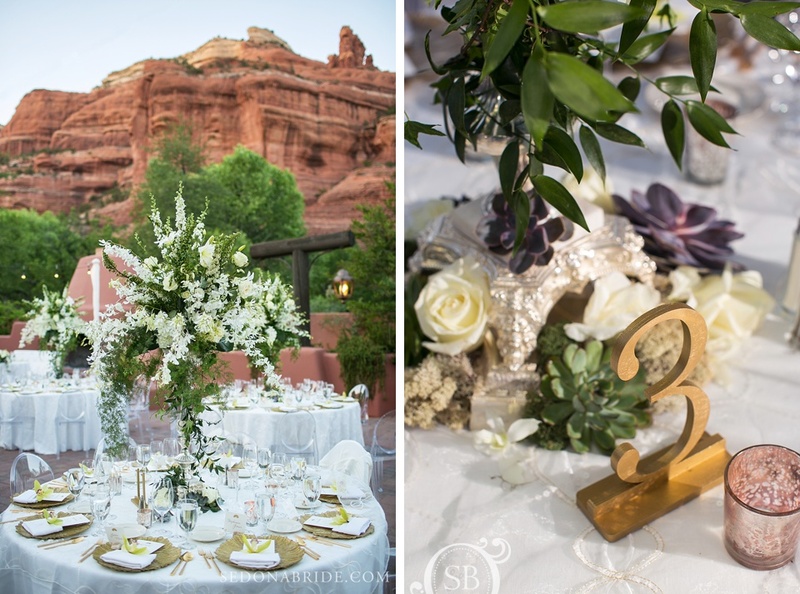 It was a hectic day that came off without a hitch due to the superb coordination by, Laura Marolakos, of Heart of Sedona Weddings. 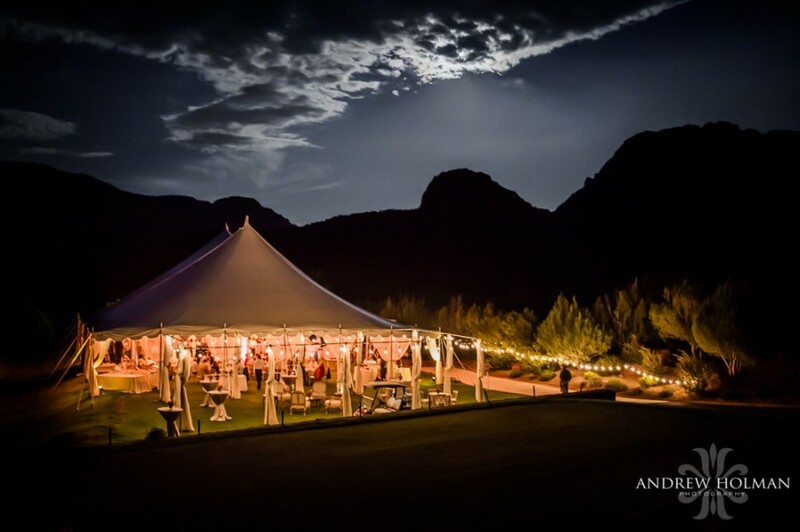 As the evening unfolded, the setting became even more romantic as the full moon came up behind the mountains. 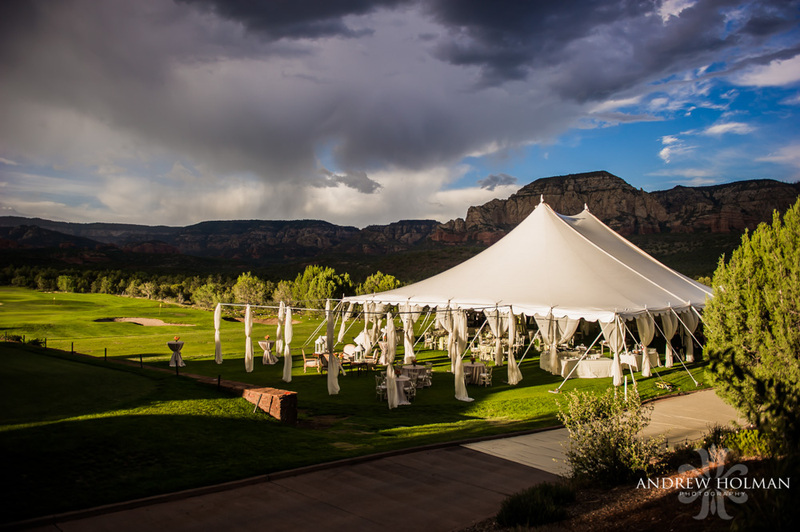 The clearing skies had heavenly silver lined clouds. 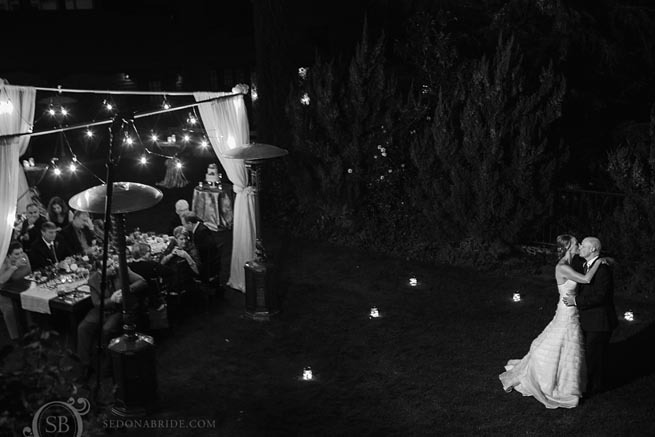 The bright moon cast moon – shadows everywhere. 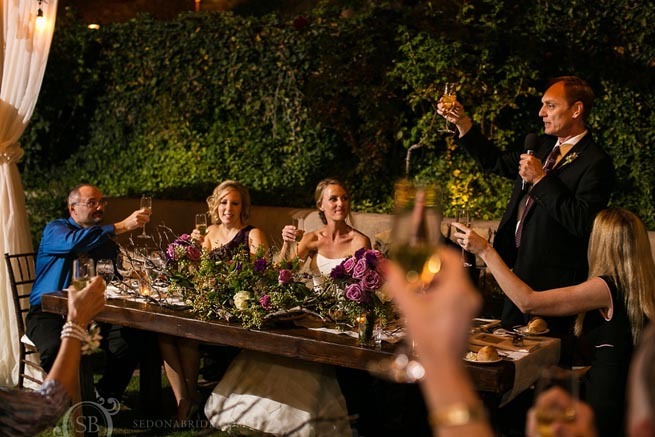 It was a magical evening for everyone! 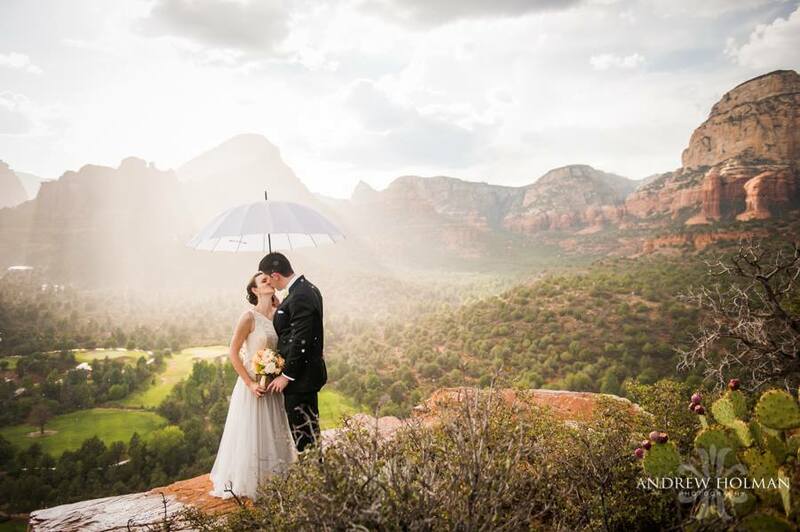 Perhaps one of our favorite images, the rain only made this quintessential misty landscape the perfect background for our lovely couple’s romantic Sedona wedding. 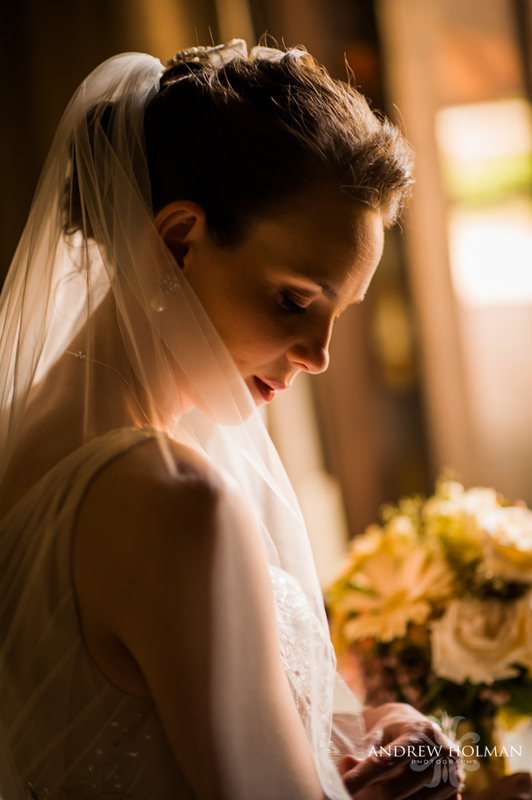 Our lovely bride, Kara. 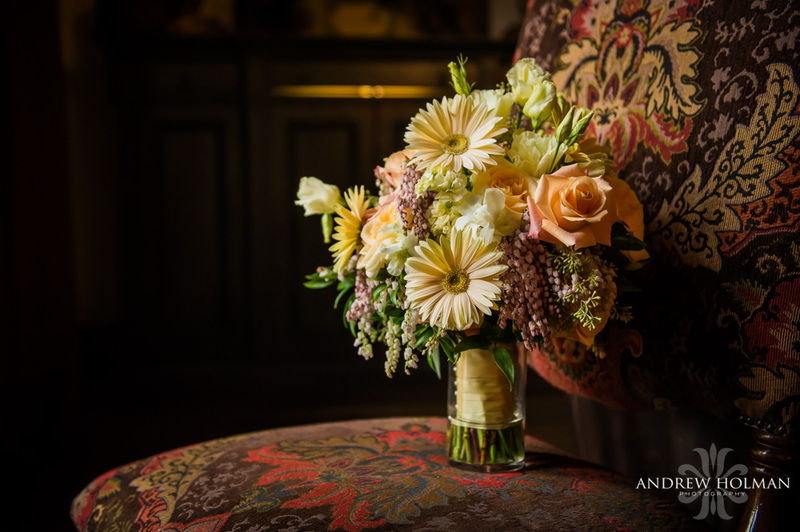 “Simply stunning” are the only words to describe this gorgeous bouquet set against the rich upholstery of this beautiful dining chair. 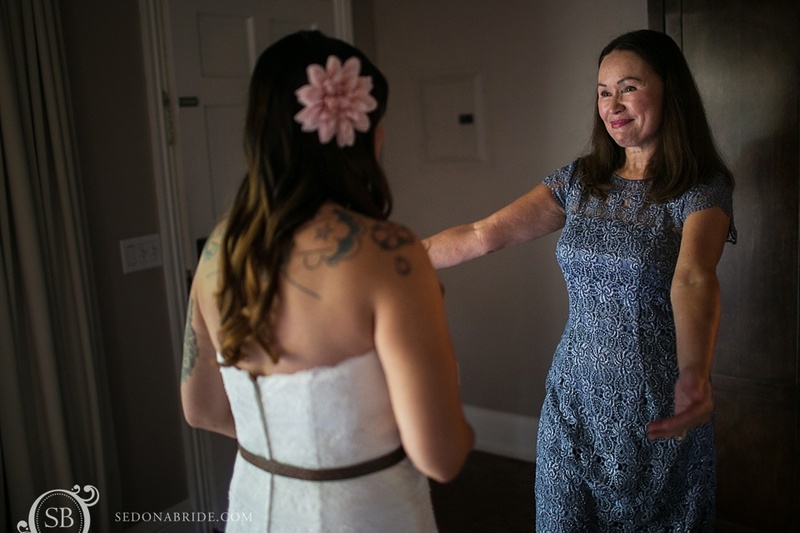 This is a great moment between our bride and her mother. 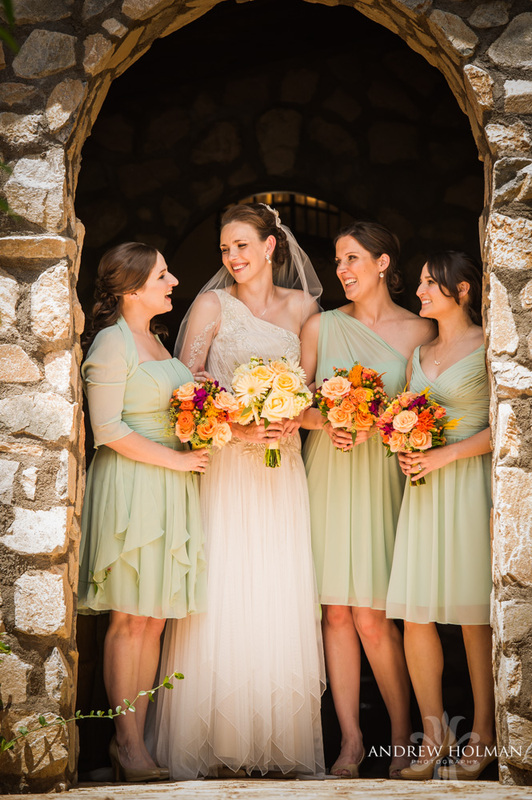 The lovely bride’s maids had so much fun and were a joy to meet. 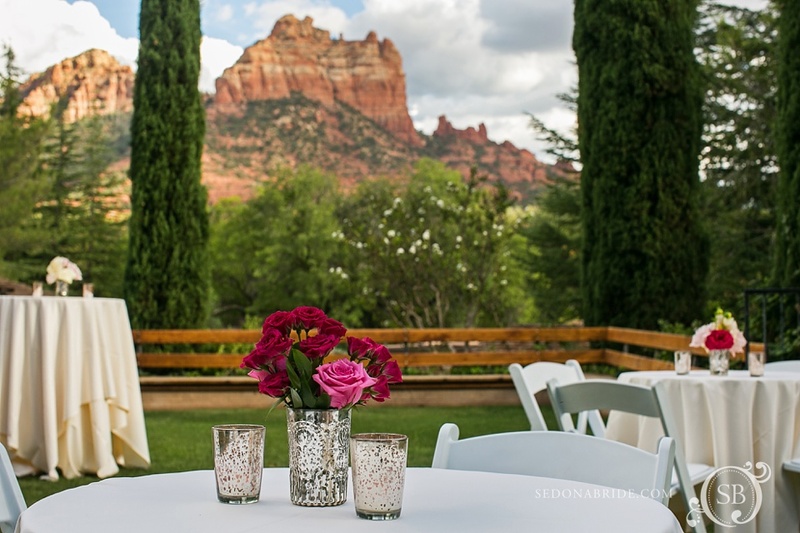 An explosion of color against the beautiful red rocks. 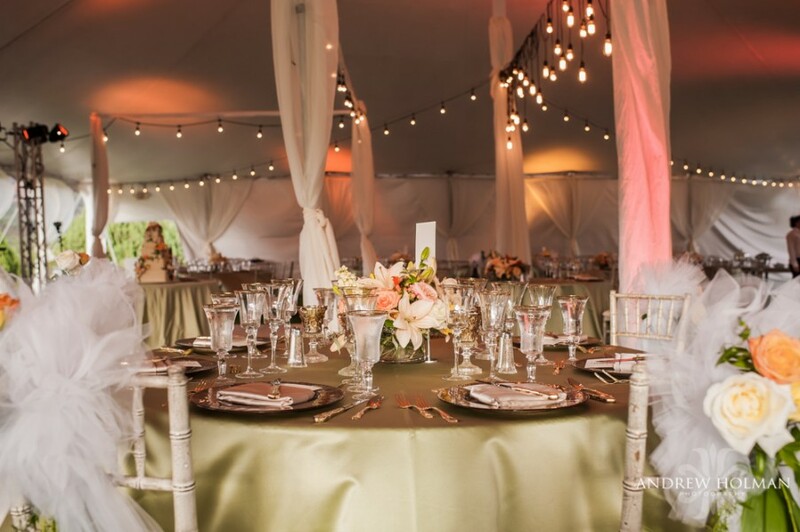 A cocktail area was constructed adjacent to the tent. 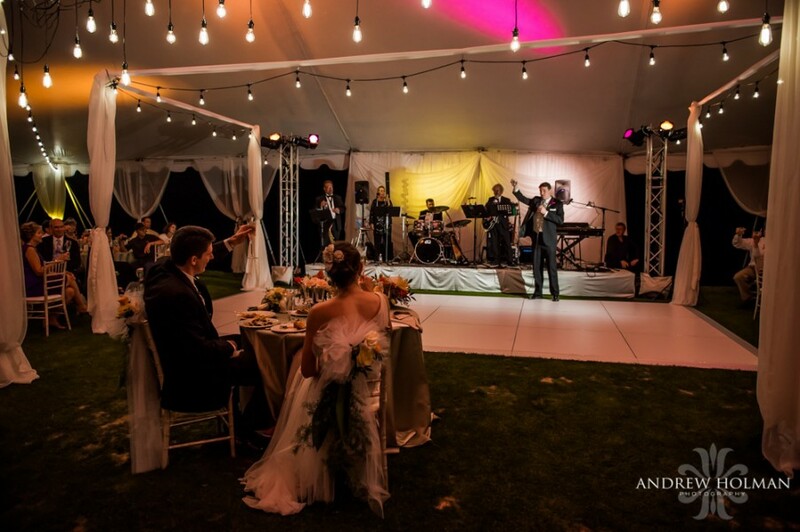 Designer furnishing finished out the elegant look of the cocktail area and made the perfect lounge. 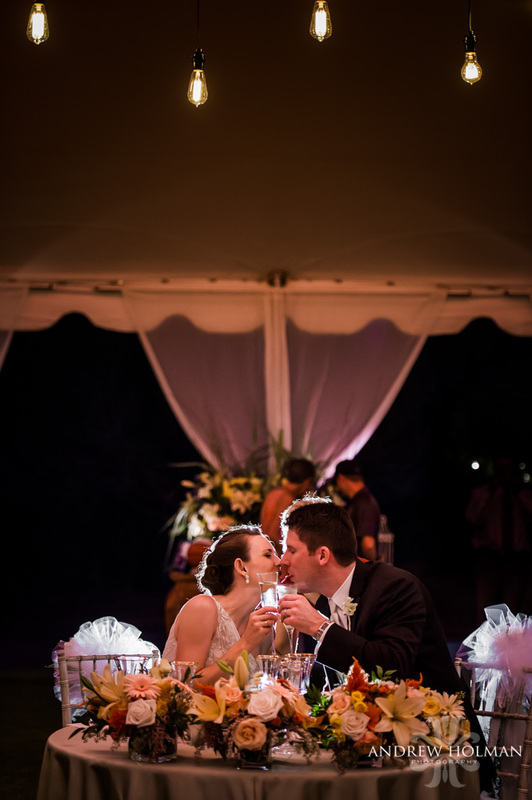 Kara and Mike enjoyed a few private moments in the lounge area just before the reception. 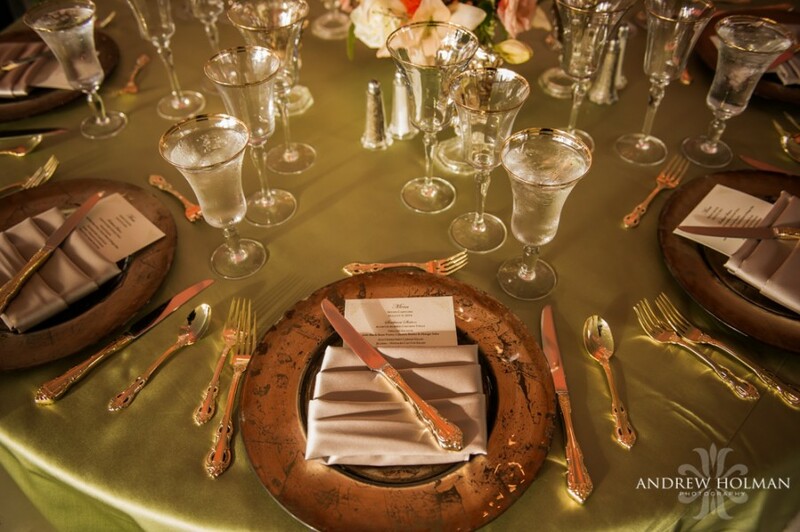 Every detail was perfectly coordinated and ready for a great evening with family and friends. 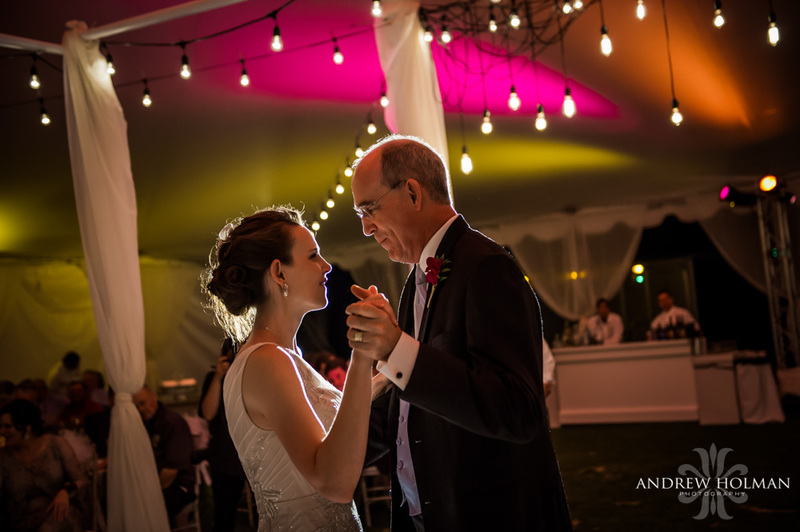 The lovely couple… The father and bride’s dance. 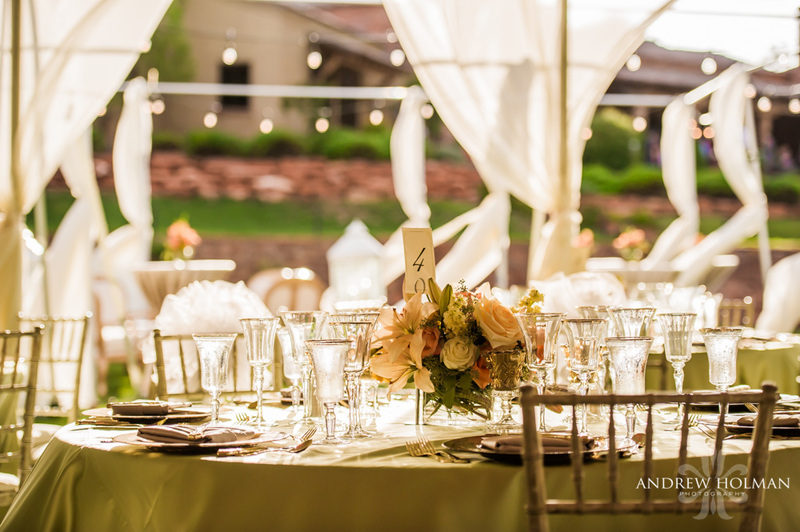 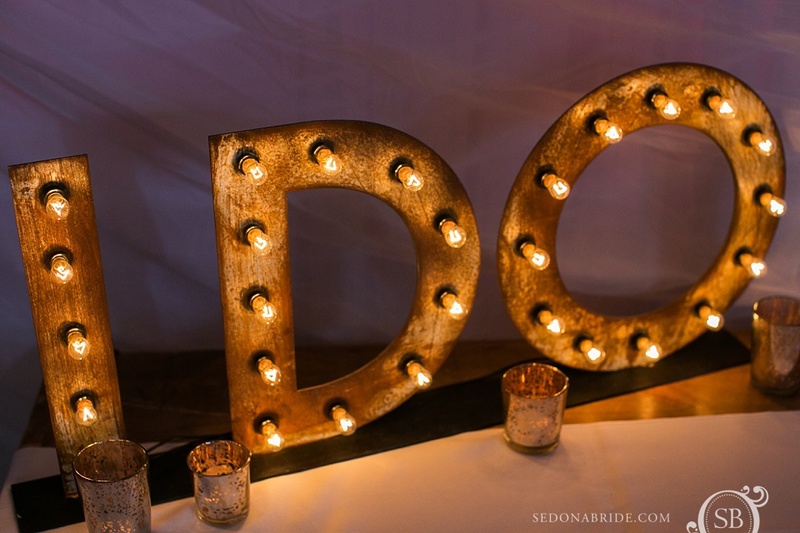 The old vintage light bulbs provided the perfect glow just above the sweetheart table. 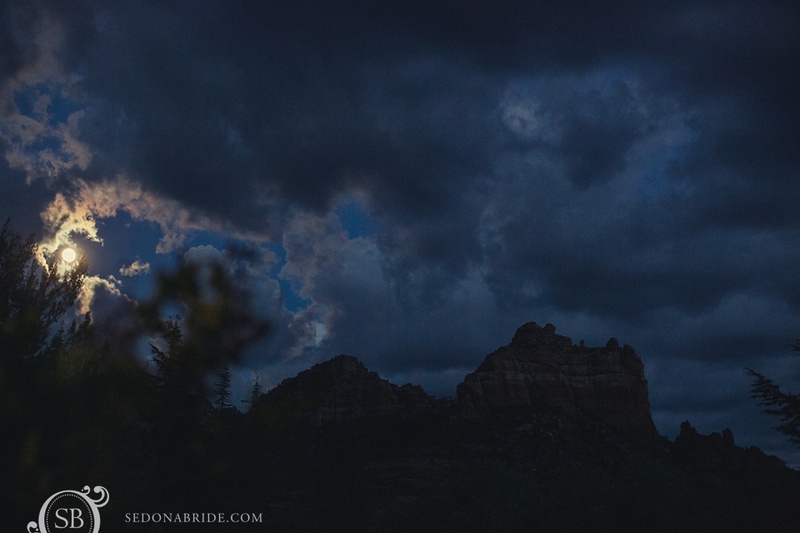 The full moon was just about to rise over the mountains and peek through the clearing silver clouds. 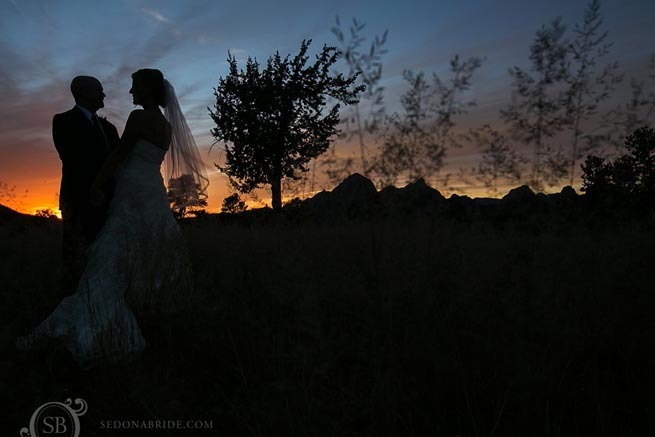 What a spectacular image as a close to this equally spectacular evening!